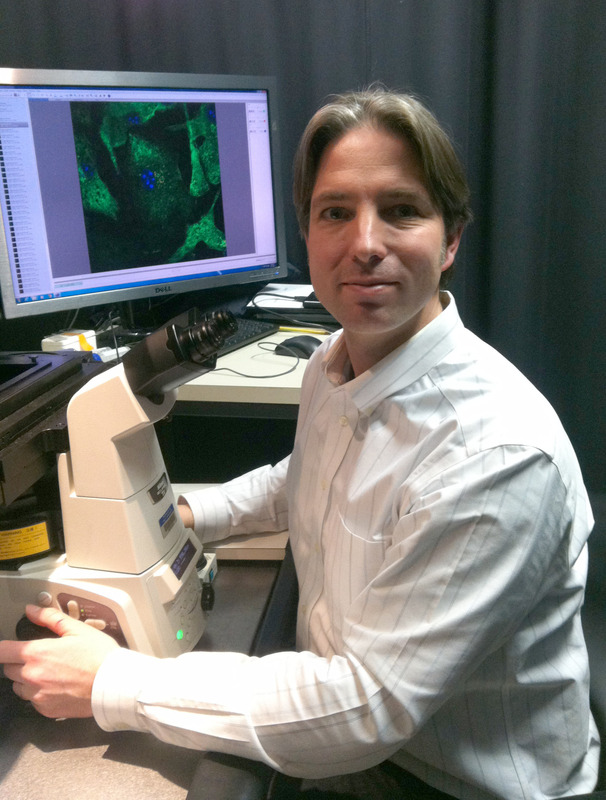 BHD researcher interview: Dr Shawn Ferguson is Assistant Professor of Cell Biology at the Yale School of Medicine. Professor Ferguson researches how cells respond to nutrient levels, and how defects in this process cause disease. In 2013, his team were the first to report that FLCN activates mTORC1 signalling at the lysosome in response to amino acid reintroduction. As part of our efforts to understand the mechanisms that allow cells to sense and respond to changes in nutrient levels, my lab has been investigating the function of transcription factor EB (TFEB). While our studies began from a desire to understand the fundamental cell biological mechanisms whereby this protein helped cells to adjust to changes in nutrient abundance, we were also aware of human genetics studies that linked TFEB over-expression to the development of renal carcinoma. Thus, when Laura Schmidt and colleagues published a study a few years ago (Hong et al., 2010) that linked the folliculin protein to the regulation of TFE3, a protein closely related to TFEB, we were deeply intrigued and got started with some experiments to see if we could figure out how all these pieces fit together. We are broadly interested in understanding how defects in the way that cells respond to changes in nutrient levels contributes to the development of a broad range of diseases. This includes our efforts related to Birt-Hogg-Dubé syndrome and other cancers but also efforts to understand the basis for neurodegenerative diseases such as Alzheimer’s disease and frontotemporal dementia. With respect to BHD, we are currently highly focused on understanding how the folliculin protein allows cells to sense and respond to changes in nutrient availability. 3. What would help current research? Understanding the specific molecular function of folliculin would be helped tremendously by the development of a biochemical assay that uses purified proteins to reconstitute folliculin function in vitro. Our first glimpses of a crystal structure for folliculin from Tom Blundell and his colleagues was very important. Equally important has been the growing appreciation of the evolutionary conservation of folliculin function. This has opened up opportunities to take advantage of the extensive knowledge arising from fields such as yeast genetics to develop and test new hypotheses about the functions of folliculin and its interacting proteins. It is challenging to identify a single favourite. There is so much exciting new research published every month! An advance that I find to be particularly exciting is the recent explosion of new tools that take advantage of the bacterial Cas9 nuclease for the purposes of genome editing and the potential uses of such tools enable previously impossible experiments in human cells. We are continuing to use the tools of modern cell biology to make sense of clues that human genetics have provided about the underlying causes of disease. Our efforts related to BHD are an example of this. I ultimately hope that the understanding of fundamental mechanisms contributes to the rationale design of effective new therapies. I expect that a better understanding of what folliculin looks like (structure) and what it actually does (defined in vivo and reconstituted in vitro) will lead to more definitive answers about why loss of folliculin gives rise to the unique cell and tissue specific defects that define BHD. Such advances are necessary to pave the way for the design and testing of new therapies. I love to read and my favourite book is always the one in which I am currently immersed. Lately that has been “The Last Coyote” a detective novel by Michael Connely. It has been interesting to see the parallels between police detectives attempting to solve a murder mystery and the gathering of clues by us scientists as we seek to understand life and disease. Growing up, I loved to be outside and explore the fields, streams and forests outside our back door. It was the perfect preparation for being a scientist even if I did not know it at the time. I am very happy to be a scientist. Hopefully, that means that 10 years from now I will continue to have the opportunity to spend time at the microscope with the students and postdocs in my lab as we do our best to unravel cellular mysteries. BHD personal story: Janet is from the US and was diagnosed in 2013. I had a pneumothorax of the left lung in January 2013, and it collapsed again in April. I had surgery at that time and my surgeon consulted with three pulmonologists regarding the appearance of my lungs. My surgeon brought a pulmonologist to my hospital room. The first thing the pulmonologist said was, “You have little white bumps on your face.” I said, “Yes, I do, and the ones on my neck are itching.” He began eliminating various conditions based on family history, personal history, and CT scans of the lungs and kidneys. The blood test confirmed his diagnosis of BHD. For a while it was overwhelming. Until age 61, I’d never had any problems with my lungs, so having a pneumothorax just seemed to come out of the blue. I was stunned to learn I’d probably been born with the blebs on my lungs. I wondered if having BHD would shorten my life expectancy. The main risk factor is possible kidney cancer, and my urologist has ordered kidney scans every six months. I do have two small cysts but they are too small to be removed. I hope they stay that way! Because my mother died of kidney cancer, it’s likely she had the gene, but the syndrome hadn’t been officially recognized at that time. I also wondered what I had passed on to my children and grandchildren. Yes. My three sons know they need to be tested and will be arranging that in the next few months, after they consult with their personal physicians and insurance companies. If they have the gene, which means they have BHD, their children will have to be tested as well. After the lung surgery on my left lung I felt very fragile. It’s very likely that my right lung will collapse at some point, as it has “big blebs in bad places.” I was concerned about traveling very far from home in case I needed medical attention from the specialists involved in my case. But in the year since the surgery I’ve flown four times with no problems. I surfed the net and found some excellent resources. Yes. Many dermatologists and pulmonologists will never see BHD, according to my doctors, so it can be very frustrating to get a diagnosis. Do some research on the internet and participate in the Facebook page for BHD patients, researchers, and families. Print the brochure on the BHD foundation page that is targeted for physicians and send it to your doctor in advance of your appointment. And if you don’t get answers that feel comfortable, find another physician. 8. Has BHD affected you as a parent? I am concerned about what I may have unknowingly passed on to my children and grandchildren. Ironically, one son is a skydiver and another loves to scuba dive, and those are two activities that could put them at greater risk if they have the condition. At this point, they haven’t been tested. We will see a genetic counsellor soon, and hopefully get an idea about the scope of this situation. Be patient while the news soaks in. 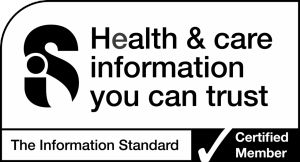 Become familiar with the information available about BHD. Go to doctor appointments with the patient so you understand what is going on. Chest pain, which I understand is normal for quite a while after surgery. Some reduction in lung function. Thoracotomy with pleurodesis of left lung. CT scans of kidneys every 6 months. Pulmonary evaluations and visits with the pulmonologist twice a year. I was very fortunate to be referred to a surgeon who is current in the research and who consulted three pulmonologists after my surgery. The pulmonologist he brought to the hospital has followed me through the diagnostic process. I haven’t had to go from doctor to doctor, wondering what caused the pneumothoraces, and I know the status of my kidneys. I am in a holding pattern. I feel that all bases are covered and that I have excellent specialists. 13. What has been your experience of your healthcare system and healthcare professionals? No. My insurance covered the test, which is quite expensive. Maintain the current regime—which is to live a normal life—and be grateful that I was diagnosed at this point and monitored by good physicians. I may participate in some research projects for people with BHD in the future as well. I like to remind myself that I’m more likely to be hit by a bus than die of kidney cancer. You are not alone. Find some support from other patients. Learn all you can about the condition.